Product categories of OPP Self-adhesive Plastic Bags, we are specialized manufacturers from China, OPP Self-adhesive Plastic Bags, Environmental OPP Self-adhesive Plastic Bags suppliers/factory, wholesale high-quality products of Thickened OPP Self-adhesive Bags R & D and manufacturing, we have the perfect after-sales service and technical support. Look forward to your cooperation! OPP self-adhesive bags, also known as OPP self-sealing Plastic Bags. OPP tape OPP Self-adhesive Plastic Bags: polypropylene film as the substrate, with high tensile strength, light weight, non-toxic and tasteless, environmental protection, the use of a wide range of advantages. OPP self-adhesive bags are light weight, low cost, improved transparency, and good heat resistance. 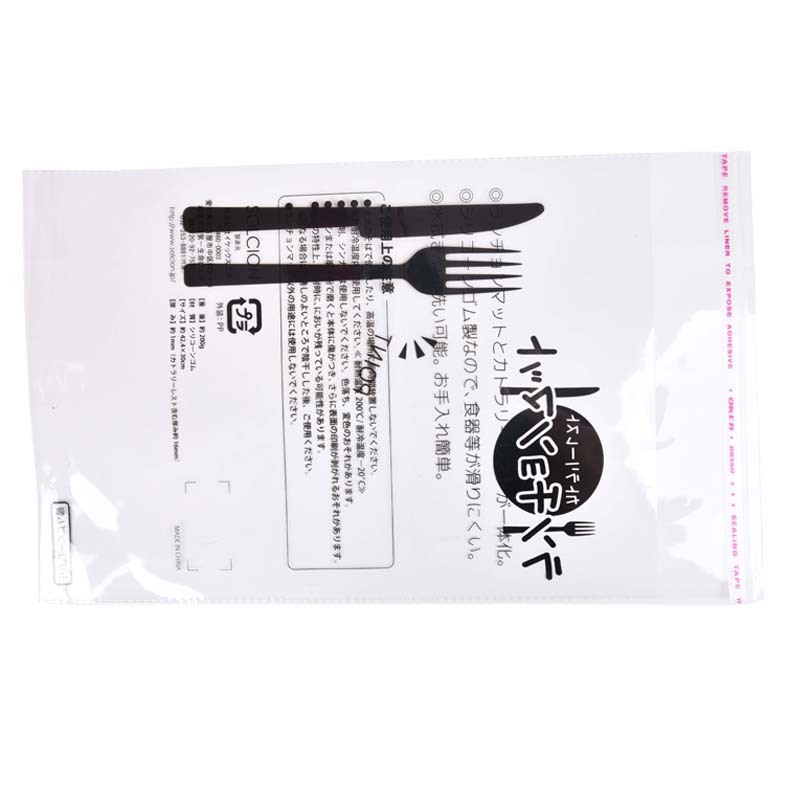 OPP self-adhesive plastic bags: high transparency, flatness after packaging, easy to use. The OPP film is folded on one side and sealed on the side, and the self-adhesive strips are glued on the open tongue. When the product is used, the protective film on the surface of the seal is torn off, and the tongue is folded in half, then it can be adhered firmly. It is elegant and widely used in clothing, food, stationery and other industries.